I belong to Hendon Chess Club which meets at the Unitarians Church Hall in Hoop Lane every Thursday at 7.30pm and new members are always welcome. Please note that the club has a child protection policy which all members and visitors are expected to observe. You can download a copy here. For more details, download OUR SUBSCRIPTION FORM, ring Club Secretary Chris Rogal (he's the one thinking hard in the foreground of the picture on your right!) 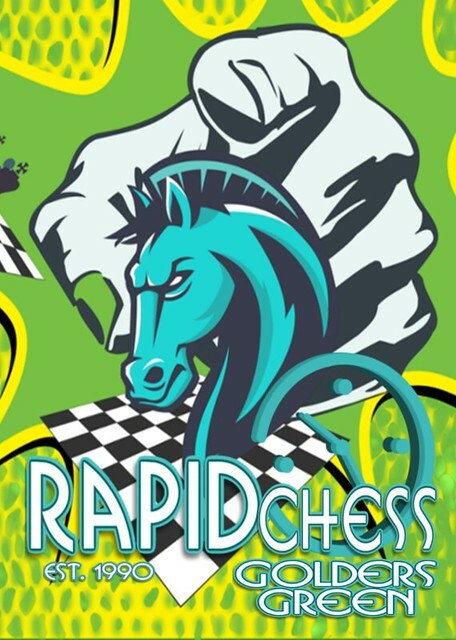 for on (020) 7794 4374 (home) or 07711 960 623 (mobile) or come along to any club night or Golders Green Rapidplay (still at St Albans Church Hall, West Heath Drive NW11 7QG). Held on the first Thursday of every month. Venue (from 1st March 2012): Golders Green Unitarians Church, 31½ Hoop Lane, Golders Green, London NW11 8BS. Starts at 7.30pm promptly, finishes 10pm. 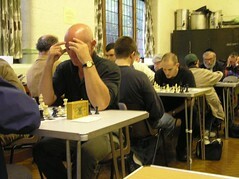 £5.00 to enter, £3.00 if you are a member of Hendon Chess Club. Cash only. 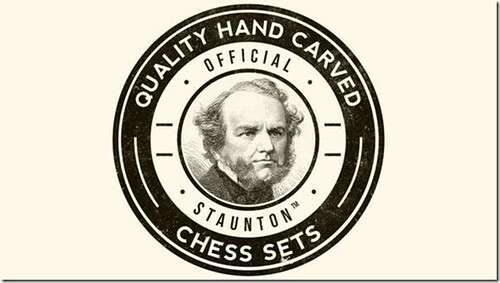 There will be a first prize, a prize for the highest Hendon Chess Club member and other prizes depending on entries. Each player will have ten minutes for the game. FIDE Blitz Rules apply; it is always touch and move, completed illegal moves lose etc. You don't have to have a grade or belong to the club to play. The controller's decision is final in all matters.